Kenya’s Malkia Strikers earned their second Women’s Africa Nations Championship win in as many nights with a sweep over Senegal at Palais des Sports in Yaoundé, Cameroon on Sunday. Kenya captain Mercy Moim and Edith Mukuvulani led the match scorers with 15 points each, while Sow Binetou replied for Senegal with 12 points. In this match, Kenya had a good run in the first set and led 5-1 lead before surging to 8-4 at the first TTO. Led by Moim and Brackcides Khadambi, Kenya extended their lead to 13-7 and eventually led 22-15 before bagging the set. Kenya received the toughest moments of the match in the second quarter when the West African side took a 24-19 lead before Moim and Khadambi did their best to get back into contention and finally winning the set 28-26. In this set, Kenya had taken a first TTO lead of 8-6 before Senegal bounced back to take control of the set with a 16-12 lead at the second TTO. The lead appeared to give Senegal much confidence. But Kenyan attackers fought hard to win. 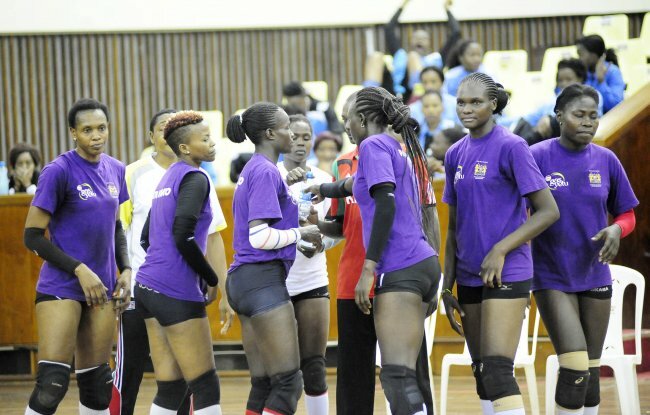 The third set was won by Kenya 25-15. They have a 2-0 win while Senegal have won and lost one match each. In another match, Egypt overwhelmed Algeria 3-0 in Pool A. Aya Elshamy lwas the top scorer for Egyptian with 17 points, while Yasmine Abdelrahim replies with eight for Algeria.